Massachusetts Grand Opening - Disaster Restoration Services, LLC. 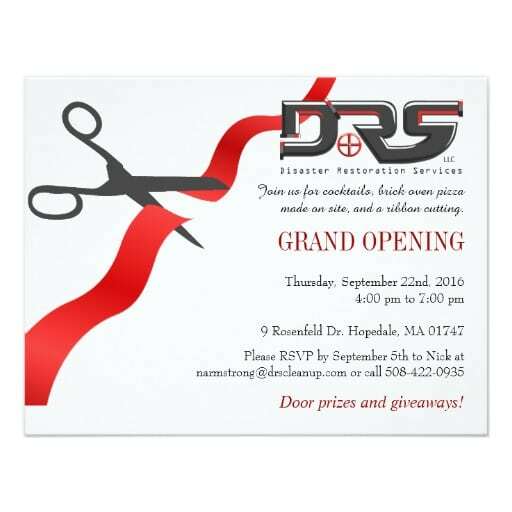 DRS is having the grand opening for the new Massachusetts location on Thursday, September 22nd from 4:00pm-7:00pm. The event will take place at 9 Rosenfeld Dr. Hopedale, MA. There will be cocktails, a brick oven pizza truck, door prizes and giveaways. Come on out for a great night! Everyone is welcome.